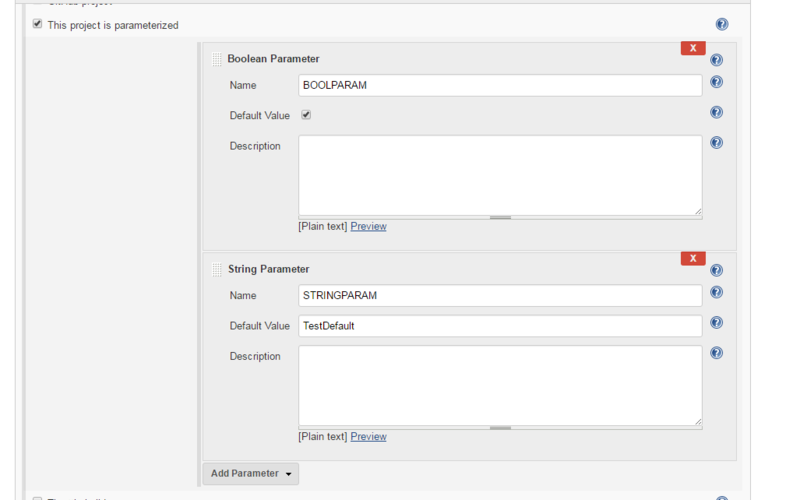 When creating a multi-configuration job, parameters are not passed as environment variables. This appears to be a regression with SECURITY-170 - Adding -Dhudson.model.ParametersAction.keepUndefinedParameters=true to JENKINS_JAVA_OPTIONS in /etc/sysconfig/jenkins then make the parameters visible again. Note that these Params are explicitly defined in the job, and should not be getting removed. Confirmed that it is - I edited the description to say adding 'keepUndefinedParameters=true' resolves it, but these are explicitly defined params, as in the screenshot. Rob Thomas added a comment - 2016-05-17 02:00 Confirmed that it is - I edited the description to say adding 'keepUndefinedParameters=true' resolves it, but these are explicitly defined params, as in the screenshot. i made it work by restarting the jenkins service in cli, after setting the jenkins java configurations in /etc/sysconfig/jenkins. 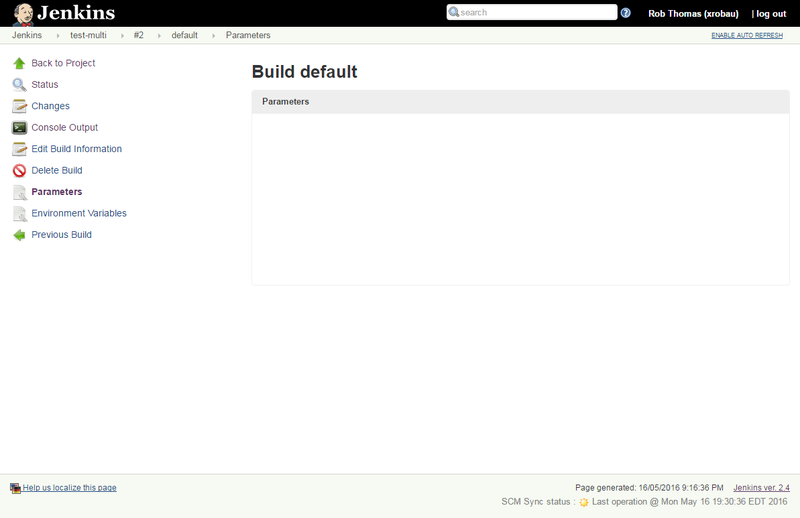 Even for explicit params. KARTHIK VELAYUDHAN added a comment - 2016-05-17 03:00 i made it work by restarting the jenkins service in cli, after setting the jenkins java configurations in /etc/sysconfig/jenkins. Even for explicit params.